tryed me newt outside today damn clouds come over whilst watching big bro:( will try another day mite also test cam on me smaller telescope 50mm sometime. Clear skies at last. 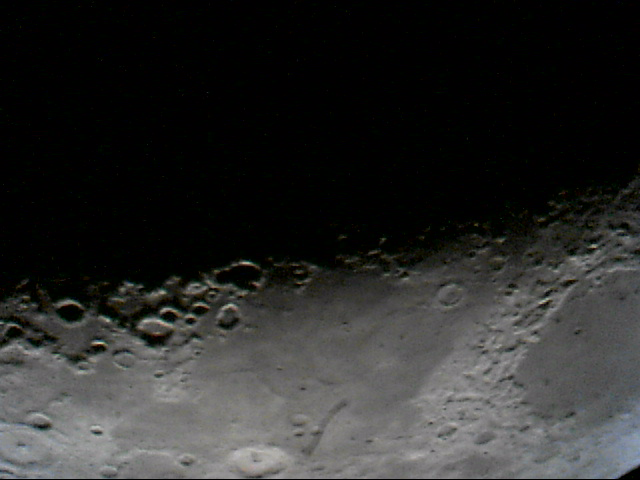 Managed to get my first image of the Moon using my modded Xbox Live Vision Cam. It's not amazing and there is a hair on the Cam , but I'm chuffed to bits, considering im using a Skyliner 150P, not exactly the ideal choice for imaging!! Thanks Gina. Also managed to get Jupiter, its not so clear and lacking in colour, but the bands are visible. But, I'm still happy, it's my first image of Jupiter. Your jUpiter is way better than mine I am still messing around with settings but managed to see a lot more than I though I would...seems like they act like a 10mm eyepiece witha 700mm focal length scope. Just picked up some MS lifecams though for $15 a piece so super excited to get these ones up and running. 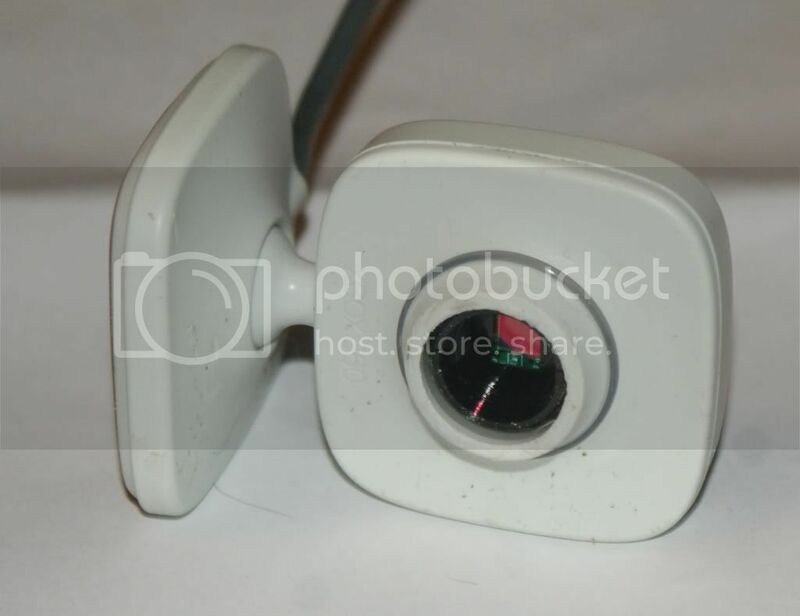 Im watching this thread with interest as i have a couple of these xbox cams and am going to get a scope so will be modding one to have a go at imaging just to fiddle really and see if thats the road i would like to take. I like the way its all done on the cheap and theres modding involved and i like modding. Theres nothing wrong with homebrew recycling. I love it when i have a problem or a mod needs doing nd you look in your parts / spares bin in your shed and find a few bits, lay them out on the kitchen table and start brain storming until you think ive got it and out come the tools great feeling. Great images xbox cam users keep them images comming. Good start but may I suggest a bit lower exposure or gain/brightness. The moon is a bit overexposed. This will also reduce the noise Wish these was more software for Linux, I much prefer it to XP and runs faster with lower spec boxes. 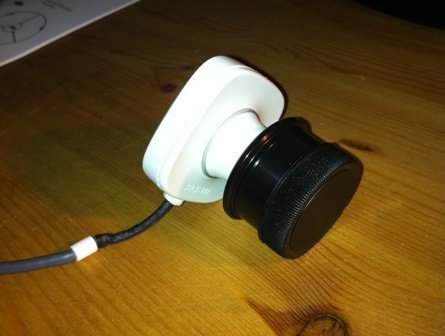 The black 'lens attachment' on the pcb (see images from gdheib0430 on the 14 Jan) has a standard M12 0.5 screw thread fitting, meaning it will work with the various black metal webcam adaptors you can buy from Astronomy websites. Does anyone know if this is the sort of adapter that is often described as being for use with the Toucam? 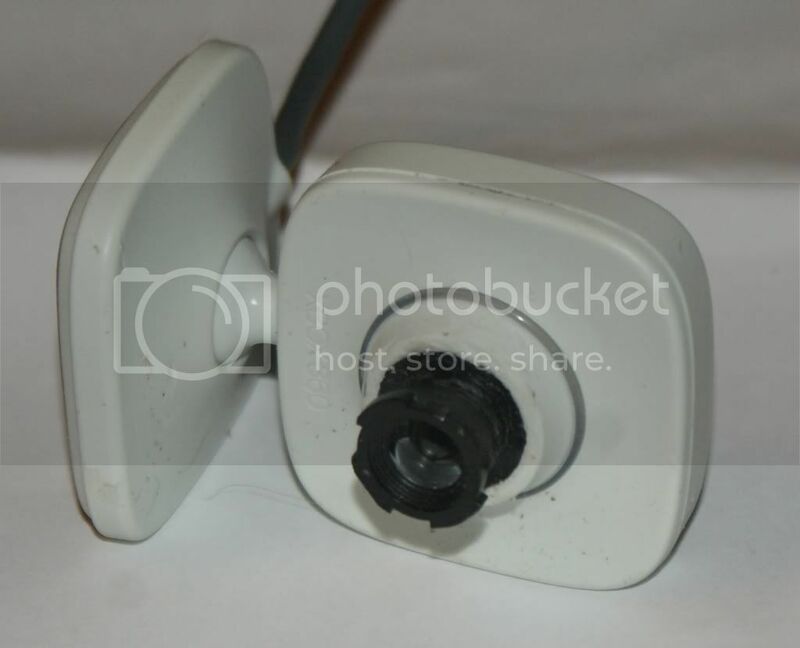 The sites I've seen so far don't seem to describe it as "M12 0.5 screw thread"
Some adapters are described as being shorter, but I am guessing this would require even more material to be removed from the xbox vision front casing. While doing that isn't a problem, would it get you any extra benefits? Could it be that shorter means a better/larger image? Or could it cause extra problems? They did not say which end was shorter than is, presumably, normal. Maybe it's both. Just trying to identify the best one to choose for this, as I've never used one of those adapters before. Once I had the XBox Webcam disassembled, I looked at the thread on the lens mount and took some rough measurements - it seemed to be M12 0.5 although I wasn't 100% certain, but decided to purchase one anyway - and it worked perfectly! 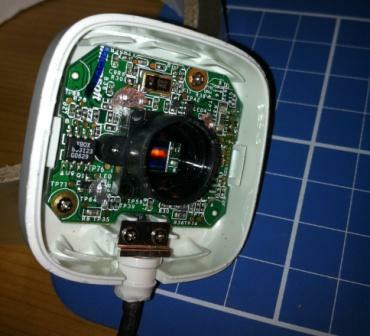 I did need to do some additional modification to the 'snub nose' of the webcam - the hole was too small for the end of the adaptor, but easily fixed with 10 mins of filing. As for the benefits, good question - for imaging, I have no idea although I wonder if a white tube might degrade the quality with reflections?? 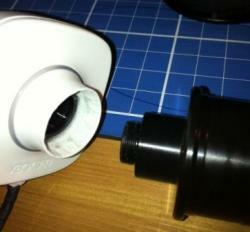 I used an adaptor because it looked neater and it had been engineered for use with a telescope. One final comment, I had focusing problems when first used - the focuser would not go in far enough, so ended up buying a low profile 1.25" lens adaptor to replace the standard one. No idea if others have had this problem, but then again, not many people try imaging with a Skyliner Dobsonian! 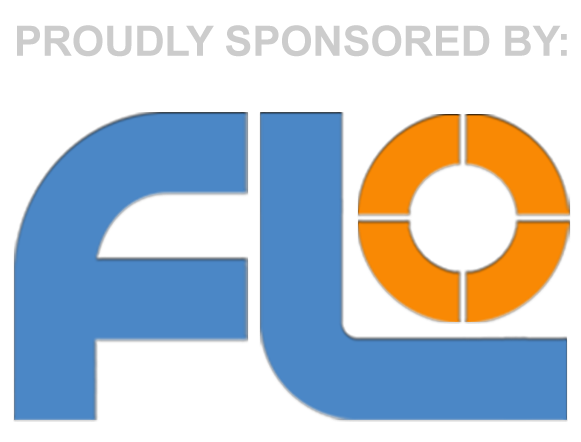 Thanks for that sausages, I wonder if any of those at FLO are similar enough to be useful? That link may well come in handy! I wish ALL retailers would give enough detail in descriptions to clearly identify one item from another. It's a right lottery how it is. Retail (when done really well) used to be significantly about product knowledge, if they don't share the knowledge then it's possibly because they don't know either, which, if true, is a bit of a worry really. If they did share more we could all have greater confidence in buying from them. A good thing in my view. I could just pop one in my next order with them if I knew for certain is all I was thinking. For now I can sit and wonder! I didnt actually purchase from Rother Valley - as I didnt know for certain it would work, I shopped around to see if I could get one for less money, ended up buying one from Scopes n skies for £14.49 (they didnt give as much detail, simply stated it was for the SPC900NC which was good enough for me to risk the purchase). I'll post a few more images this evening to show how it fits etc. Thanks both, I think I've sort of got the hang of it now! I'm in no rush as I don't have a scope yet, but it may not be too far off time to get one. As promised, a collection of images of my mod..
Just butchered my Xbox Live Cam. Used a bit of force to prize off the front grey bit which turns the lens for focussing. 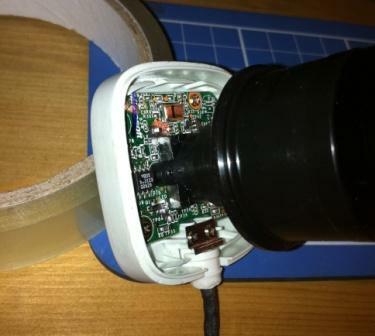 Then examined it under magnifying lamp as the lens still wouldn't quite come out. The conical front piece was stopping it. In view of this and wanting the adapter to screw right into the camera module I cut the front back using a Dremmel type cutter (actually Draper). I screwed the lens right in as I didn't want swarf on the sensor. 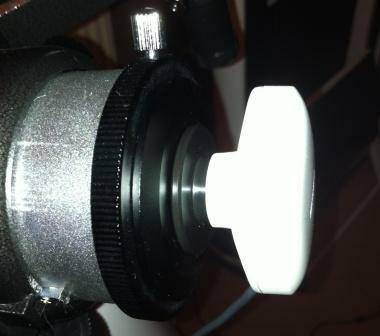 I cut just in front of the screw part of the lens. Tidied up with a tiny file.